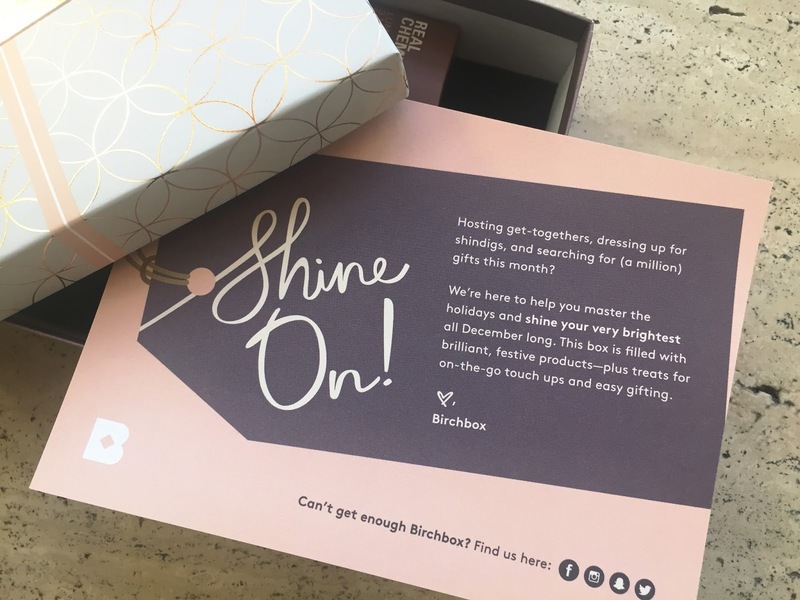 As you can probably assume, I received my December Birchbox a couple weeks ago, tried everything out, and I'm ready to share my thoughts with the world. That's how these reviews always go. Last month's box was pretty good so I had high hopes for this one. 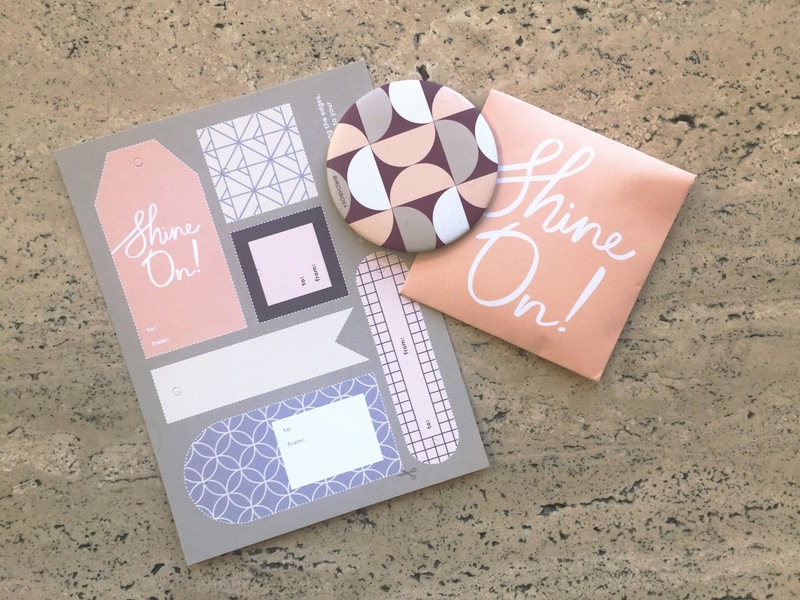 Birchbox also sent a couple bonus gifts this month-- gift tags and a little round button mirror. amika Bombshell Blowout Spray, $24- I had never used a blowout spray before this one so I didn't know what to expect with this product. It claims to protect, nourish, smooth, and volumize hair. While I'm not sure how well it protects and nourishes, I did notice it made my hair feel softer. However, I didn't notice much volume goin' on. English Laundry Eau de Parfum No. 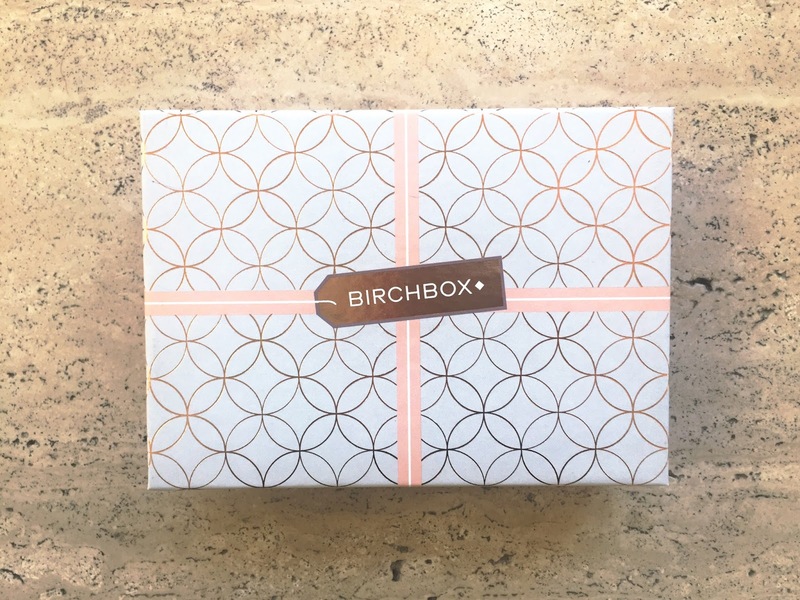 7 for Her, $70- For some reason I was afraid this was going to be a "grandma scent" but I actually really like it and I've been using it almost every day since my Birchbox arrived. It's floral, but not too floral because it also has notes of vanilla, sandalwood, and musk. I think it's a good winter scent. Real Chemistry Luminous 3-Minute Peel, $48- I absolutely love this. I've used it before, my mom discovered it a few years ago and would frequently let me use it, so I was happy to receive it this month. It leaves my skin feeling so fresh and smooth, but I really hate that price tag. LOC One & Done Shadow Stick in color "On Point", $10- I've really been feelin' shadow sticks lately (like NYX's Jumbo Eye Pencil--give me all the colors!) so I couldn't wait to try this one out. This one boasts being waterproof and creaseless for up to 11 hours, but I have yet to use a shadow stick that didn't crease, so I was skeptical about that claim. I tested it twice-- once with eyeshadow primer and setting spray, and once without. Both times I wore it all day and there were no creases. For what it is, it's a great price and I would consider purchasing this. Chella Eyebrow Defining Gel, $18- I always thought that clear mascaras were one of those things that couldn't be messed up. Well, I was wrong. This product is supposed to hold brow hairs in place and give a bit of a glossy finish. I applied this over my Anastasia Beverly Hills Dipbrow Pomade and I noticed no difference, it was like I hadn't applied it at all, other than the fact that is smeared my clean lines. I waited for it to dry then applied it again and got the same results. I don't normally use clear mascaras anymore but when I do I think I'll stick with elf Cosmetics' Clear Brow & Lash Mascara (which is only $2). Have you tried any of these products? 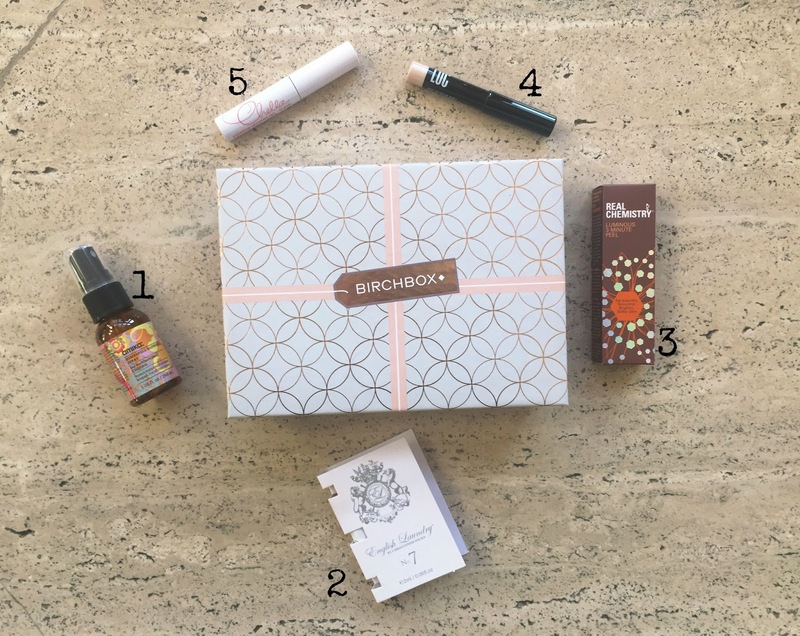 Interested in signing up for Birchbox?